Selection of awards currently seeking applications/ proposals. 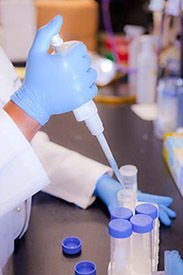 The Miami CTSI Pilot and Collaborative Translational and Clinical Studies program provides intramural grants to support the growth of interdisciplinary and investigator-initiated research that addresses health problems highly prevalent in ethnic/racial minority populations and medically underserved communities. Assists UM investigators in receiving consultation and feedback from experts in the field on the resubmission of their unfunded proposal by awarding support for the external reviewer. The KL2 award program provides funding to help deserving early career investigators establish academic careers involving important translational, transformational research programs examining disease processes or outcomes related to health disparities that disproportionately affect South Florida’s highly diverse racial/ethnic population. Internal Funding programs provide a wide array of research funding from bridge grants to pilot funds.